Large Flag 2, 2018, Digitally woven cotton with wool, cotton, and acrylic threads on wood stretcher, 70 x 50 in. 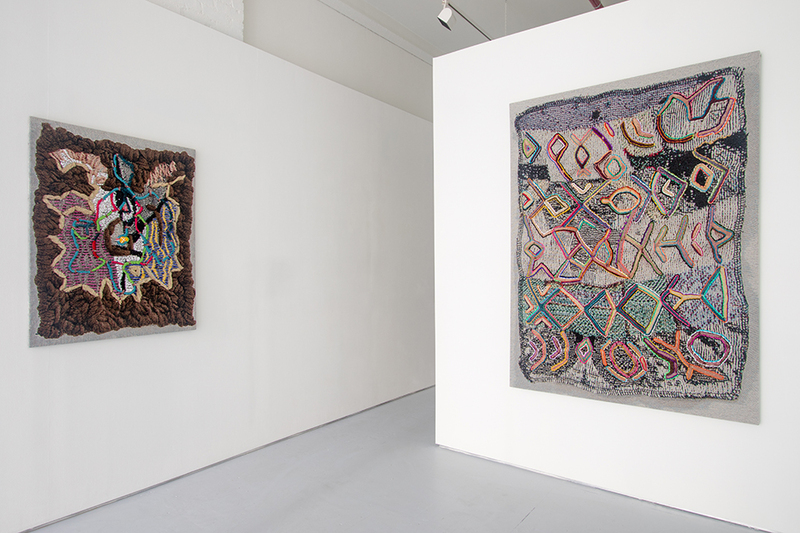 Digitally woven cotton with wool, cotton, and acrylic threads on wood stretcher, 43 x 33 in. 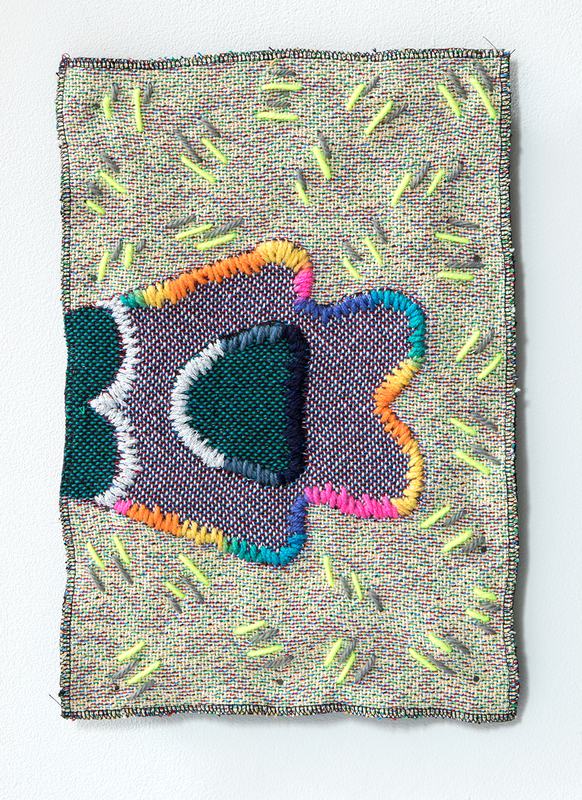 Digitally woven cotton with wool, hemp, and acrylic threads, 11 x 7.5 in. 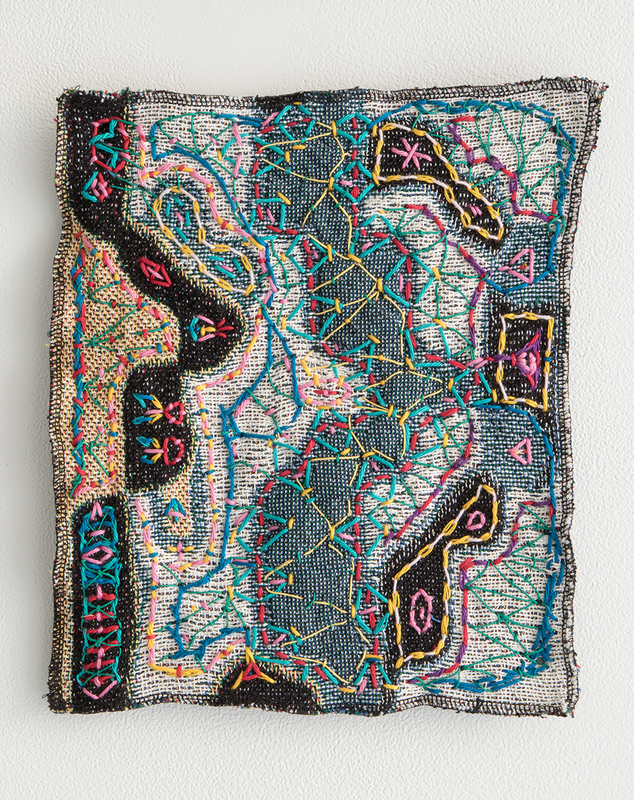 Digitally woven cotton with wool, cotton, and acrylic threads, 9.5 x 7.5 in. Digitally woven cotton with wool, cotton, and acrylic threads. 12 x 8.5 in. 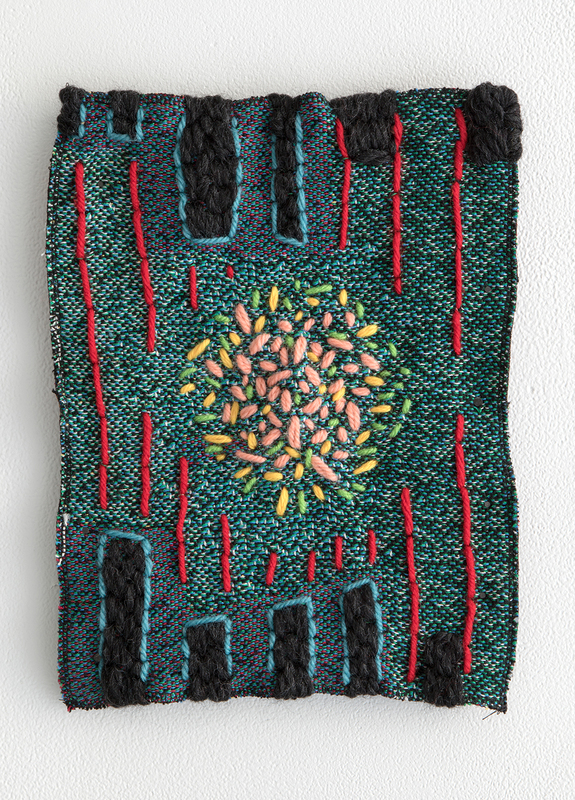 Digitally woven cotton with wool, cotton, and acrylic threads, 10.5 x 8.5 in. Digitally woven cotton with acrylic threads, 10.5 x 8.5 in. Digitally woven cotton with acrylic threads, 11.5 x 9 in. Digitally woven cotton with acrylic threads, 13 x 8 in. Digitally woven cotton with hemp, acrylic, and cotton threads, 11 x 8.5 in. Digitally woven cotton with acrylic and cotton threads, 10.5 x 8.5 in. 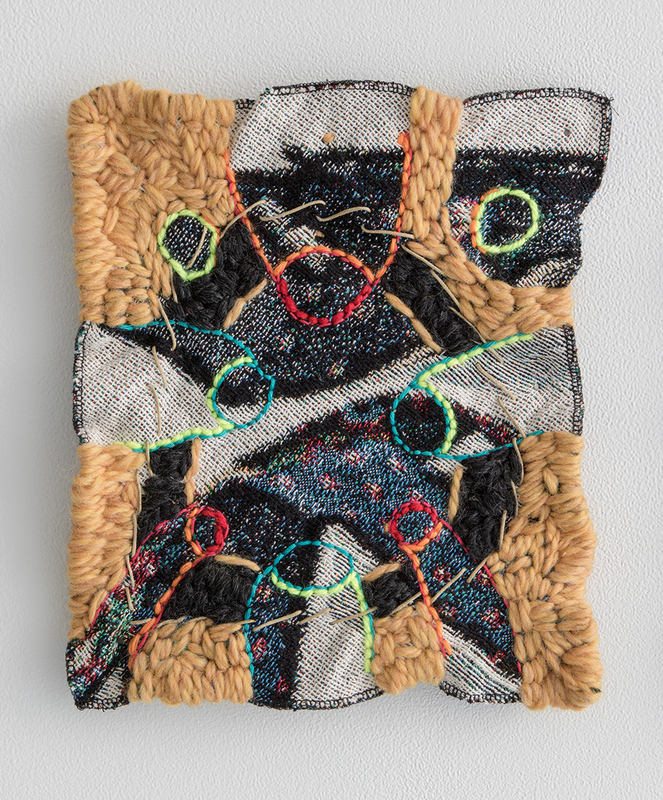 Digitally woven cotton with wool, acrylic, and cotton threads, 10.75 x 8 in. 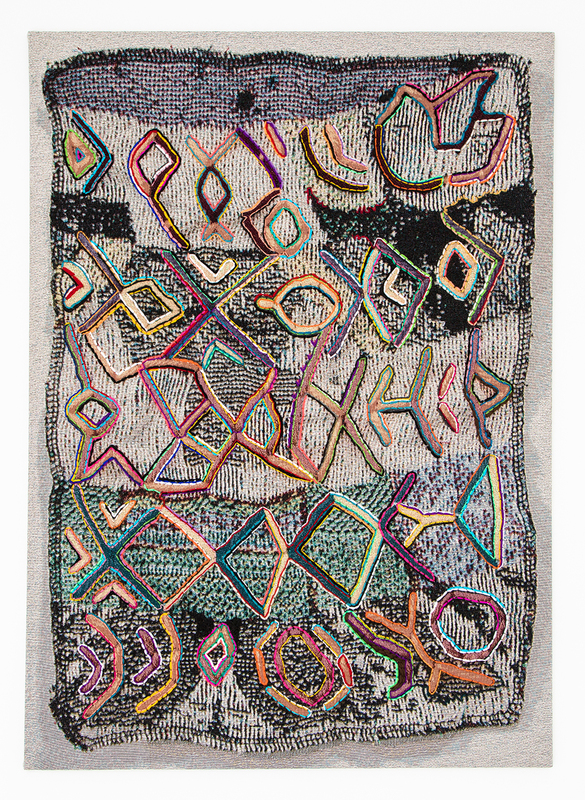 Digitally woven cotton with cotton and acrylic threads 10.5 x 7.5 in. 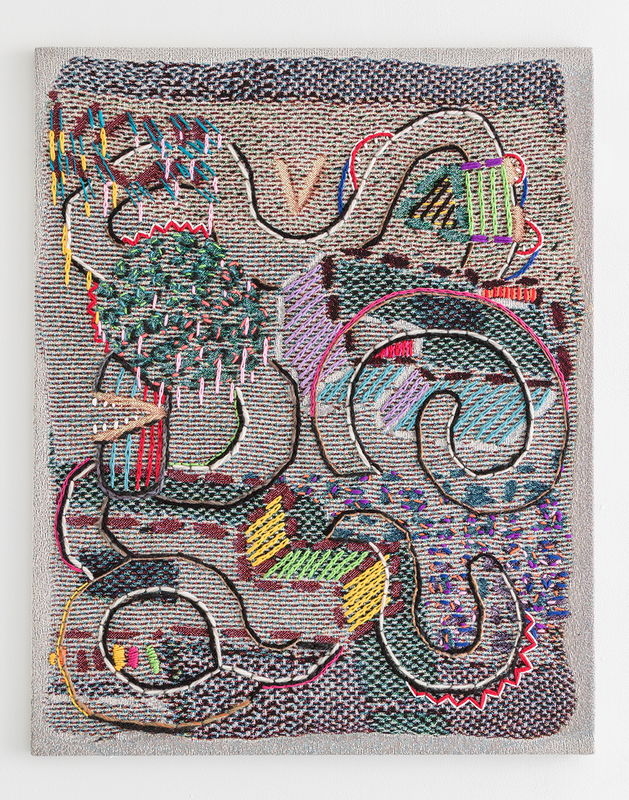 Digitally woven cotton with wool and acrylic threads, 11 x 8 in.